The US 10 Year over the past several days has pierced the 3.11% level for the first time since May of 2011, seven years ago to the day when the 10 year closed at a yield of 3.12% on its way downward to all-time lows in the 1.50% range in the summer of 2012 and again in 2016. This chart pattern is indicative of a clear shift in trend, one where it is unlikely that the ultra-low depths charted 2 and 6 years ago will be re-visited. What is the driving force behind this trend reversal and why is the 10 Year rate accelerating higher so quickly? Not surprisingly, the force for change has a very clear impetus, the Trump economic policy passed in December 2017 which squarely puts in place a plan which as executed will unravel the past 25 years of trade and fiscal policy – if the new policy stays in place long enough. The 10 Year Treasury breaking out above 3% in yield is actually not a historical anomaly. In fact, 83.74% of the time the 10 Year has posted month end close levels above 3% since April 1953. The average yield from 1953 to the present has been much higher, 5.85%. These facts become abundantly clear when you view the historical Treasury yield curve dating back to WWII. The question on many investors’ minds is whether the rate trend higher will continue, and indirectly, will a trend higher be detrimental to stocks? I believe the answers to these questions are yes and yes. How Do Stocks Typically React When the Yield Curve Inverts? 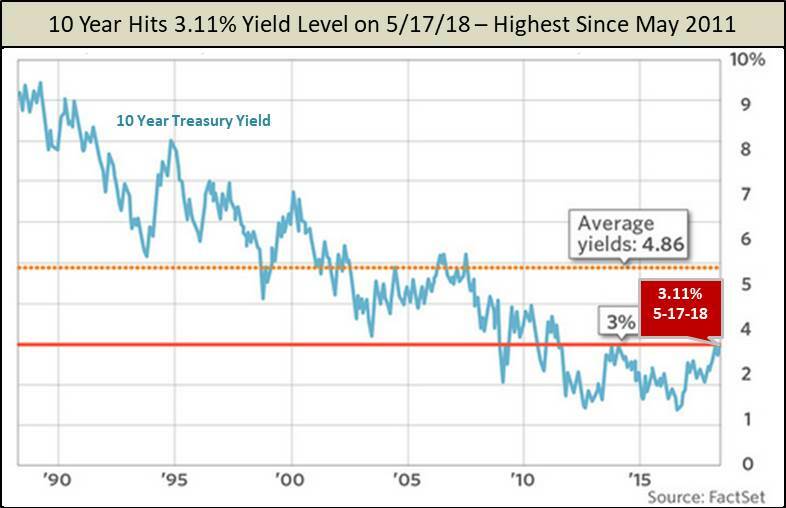 The 10 Year Treasury yield is currently pushing upward testing the 3% level, a mark that it has not breached on a month end close basis since July 2011. Over the past year the Treasury yield curve 10 / 2 spread has contracted from 105 basis points to as low as 41 in the past week, raising market fear that it will turn negative in the coming year. An inverted yield curve is historically a sign of trouble ahead for stocks and the economy, but the actual impact on stocks is different in a rising rate inflationary environment versus a falling rate, deflationary market. 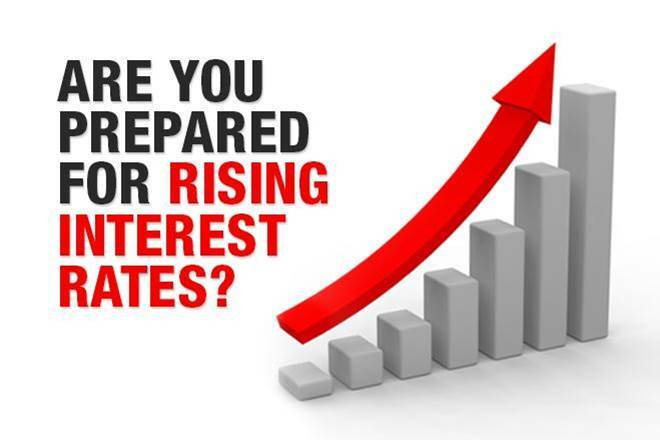 Short term interest rates have been rising much faster than long term interest rates over the last year. 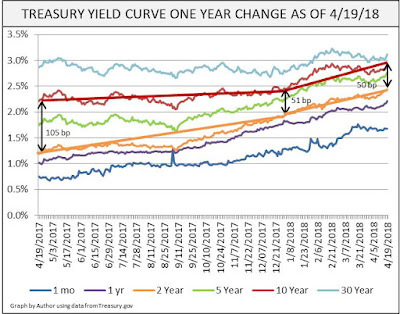 Many investors use the tightening of the yield curve, and in particular 10 Year and the 2 Year Treasury spread as a recurrent signal that future economic activity is likely to slow down and the day of reckoning is near for stocks is near. Over the past year the 10 / 2 spread has contracted from 105 to as low as 41 basis points. The yield curve over the past several days has rebounded back to 50 basis points, with a sudden increase in the 10 Year toward the 3% level being the underlying driver to the spread widening. Why Can’t Fed Rate Policy Inflate Main Street? Investors are currently watching Fed rate hike policy closely as well progress into 2018 as a signal that the “Goldilocks” economic scenario, where economic growth continues while the Fed hikes rates, may be brought to an abrupt end. I find the repeat episode of this Wall Street ritual every time the Fed increases interest rates comical today because it presumes that the Fed actually is impacting the real US economy with its rate policy in a way that higher rates would actually hit the intended mark. And by intended mark, I mean the Main Street US economy and a resulting correlation to US CPI-inflation. 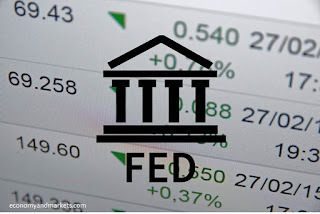 The evidence that I will share in this article is pretty strong that the Fed is not the controlling force when it comes to taming US inflation, and thereby by extension, the US main stream economy. In fact, its rate policy gymnastics show very little correlation to inflation changes over the last 20 years. 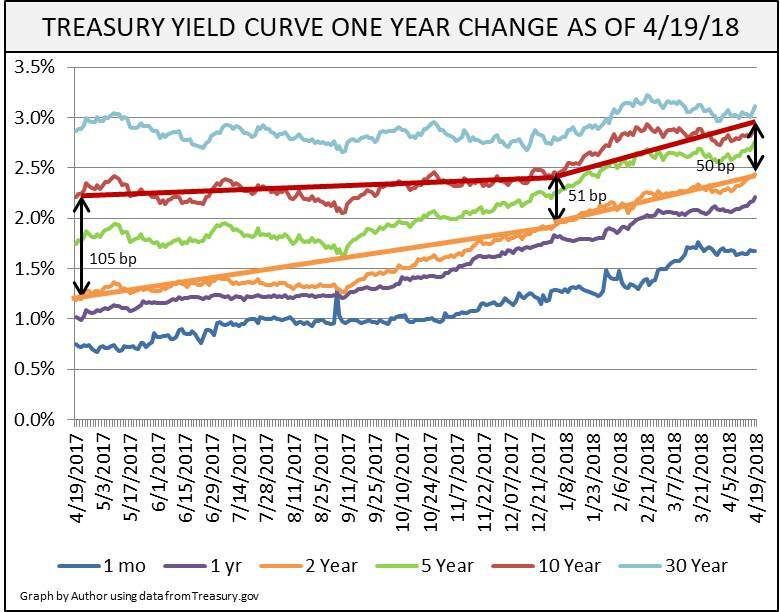 And it may be surprising to many that the entire Treasury yield curve has become increasingly disconnected from the monetary waste measure. And this fundamental “conundrum” which dates back to Greenspan and the late 1990s from a historical data standpoint is important for investors to understand because it means that the impact of Fed Policy moves do not have the intended outcome for the Main Street American economy. If the Fed rate policy was truly a controlling force in managing inflation, we should expect that the short end of the rate curve would be highly inversely correlated with inflation as real rates rise and fall due to Fed rate moves – rates up, inflation down, and visa verse. This outcome is etched in stone in the expectations of Wall Street, Congressional and a majority of investors. However, this outcome is not what the data say is happening for the past two decades. What if in the current economic situation, one where the stock market has been inflated by almost 10 years of continuous global central bank asset buying, the Federal Reserve is politically put into a position in which it believes that it must counteract the growing threat of consumer based inflation? And, as it has done in the past dating back to 1980, it believes that it must continually raise interest rates on the short end of the curve in order to eradicate the inflation nemesis, even if it is a phantom threat? What is the likely outcome? This is an important question since the Fed “dot plots” [excuse me if I don’t view the Fed as a bunch of children when I use this new terminology] all point to the fact the likelihood that the FMOC is going to raise short-term interest rates 3 to 4 times in 2018, and then continue hikes in 2019. 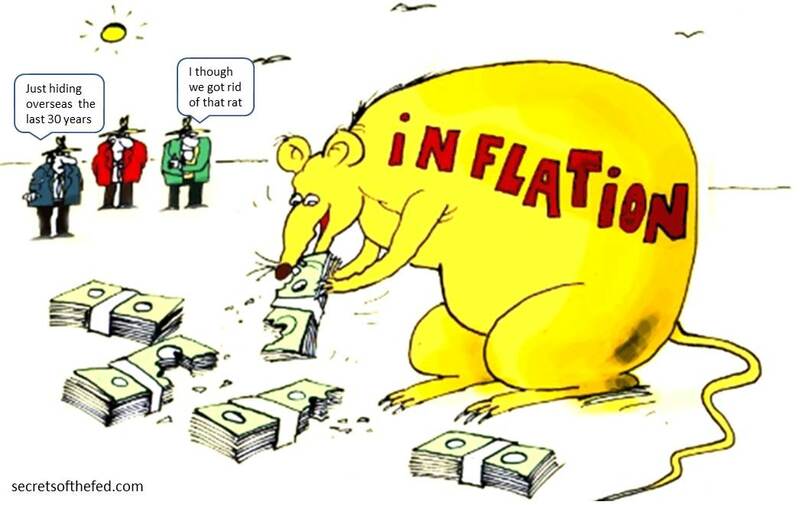 And the rational put forward is that they are trying to get ahead of inflation. My personal assessment is that they are just being driven by the international market price to finance the exploding US Debt level. If I am right in my assessment, the Federal Reserve 3 to 4 rate moves, which look very likely for the remainder of 2018 will negatively impact the stock market, but are likely to do little in affecting the trend on overall inflation, which continues to be low. The reason is that the Fed does not create inflation through its policies unless corresponding government factors out of its direct control (Fiscal and Trade Policy primarily) are conducive to creating consumer goods and services inflation. And, for the better part of the last 30 years, these policies have been counter consumer inflation, and pro international current account trade deficit now at a cumulative $11T since 1992 which oddly enough, is roughly equal to the US public debt level change over the same time period, imagine that! 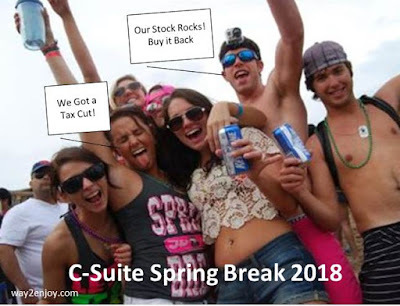 Spring break is an annual ritual for many in college. 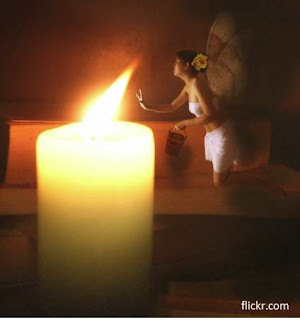 A time for carefree abandonment where you are sure you are invincible and the crowd is your biggest ally. And when I think about what is going on in the stock market as 2018 spring break approaches, I cannot help but imagine a large band of C-Suite Executives leading the party this year. With the Tax Bill passed last December, corporate pockets are flush with extra cash, and they are just looking for a way to spend it. According to President Trump, they are going to do the responsible thing - they will invest it in plant and equipment and create American jobs and the economy will flourish. But Spring Break has never been about doing the responsible thing. It is more about doing the irresponsible, and pushing it to the limits. And in the year of freebies being released from Washington in the hope of responsible behavior, there is this Pollyannaish notion that the adults in the C-Suite will do the right thing. Well optimism would be well founded if you believe that doing the right thing is taking the tax-cut windfall and continuing the trend of buying back your own company stock. 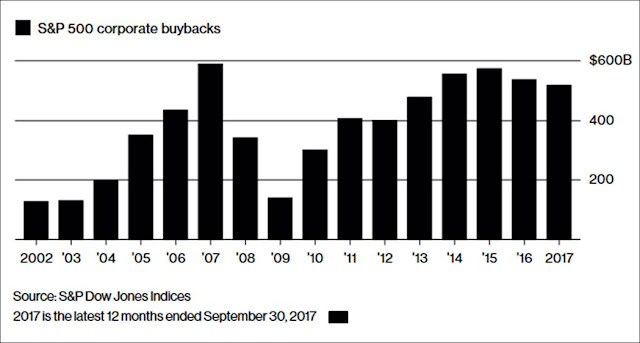 According to Bloomberg Intelligence, corporate buybacks are likely to jump 75% to $850B in 2018 after the passage of the Tax Reform Bill. This would not only continue an already hot trend, but accelerate the activity to a new level well beyond the high reached in 2007. And, in case you missed it, 2008 and 2009 came after 2007. Which raises the important question, is excessive corporate buyback activity signs of a healthy stock market and therefore considered responsible behavior? In my latest financial market perspective article, Warning: Market Rout In Progress, Investor Discretion Advised, written on Thursday, February 8th after the stock market closed in ‘official down 10% correction territory’, I stated a view that the market would now be tested and a sell any rally (SAFR) rather than buy the dip (BTFD) psychology was likely to emerge. The biggest challenge in the market in holding the recently achieved highs is that the broad stock market valuation has been driven well beyond its supportable valuation range given the size of the US economy and its current growth capability. The main reason that stocks have been able to move up to the high point it reached it reached on January 26th, 26,617 on the DJIA (DIA) and 2873 on the S&P500 (SPY), is the combination of extraordinary world central bank monetary stimulus over the past 9 years combined with the tremendous hype behind a new US government economic plan. 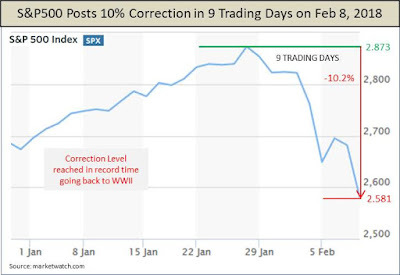 The extremely fast move in the market into correction territory the first week of February is a sobering reminder to investors that there are pent-up speculative pressures embedded in the market that will need to be unwound as monetary stimulus is unwound. 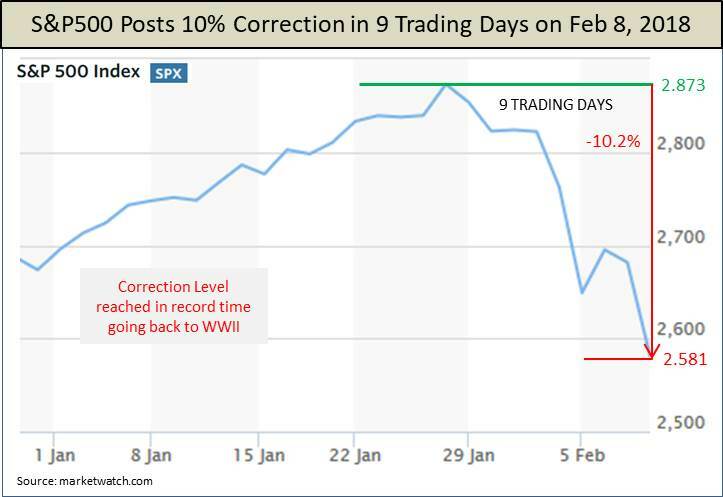 This process is very likely not over after just 9 trading days. Senate leaders unveiled a two-year budget deal on Wednesday, February 7th, 2018 that created a compromise in the heated budget negotiations between the Republicans and Democrats. Less than two months after their $1 trillion tax cut, the House passed a resolution the following day that raised budget caps by $300 billion in the next two years, increased the debt ceiling and offered up more than $80 billion in disaster relief for hurricane-ravaged Texas, Florida and Puerto Rico. President Trump signed the bill into law on Friday. There really is not any way to fund all the Trump budget requests without higher government fiscal spending given the Senate rules. Once the Republicans put forward higher spending increase requests for their favored military lobbying constituencies, the democrats countered with their own increase requests. In order to get the 60 votes required to pass the budget, the outcome was predictable. What is so misleading about the whole situation is that the actual fiscal spending increase rate, in absolute terms over the past decade has only been 3.6%, and an even lower 2.6% over the past 4 years. You would think with all the hype it was growing at 10 times that rate. But, it is very telling about the economy in general when you look at the growth rate in fiscal spending over time, and its relationship to generating inflation (the debt also has a big impact, depending on where the debt is financed foreign versus domestic). I have a table I recently created from some of my research I think you will find interesting. You can draw your own conclusions from the data, but what I see is a country that has cut its tax base so far, that it cannot grow the government fiscal spending machine without borrowing more and more debt. The trending result is lower domestic GDP as both real growth and inflation driven price pressures have moved lower through time. Slowing the Washington spending machine down in absolute growth terms, turning the FED loose with monetary stimulus (the Obama result), but without a large increase in the public debt from the end of 2013 until today (all the new debt occurred in 2009 and 2010, and much of it was consumed by the Fed and China) produced a hyper-inflated stock market, but tepid U.S. economic growth. 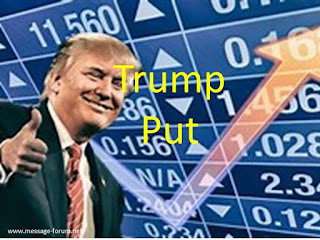 The Trump plan is changing the entire playing field - more fiscal spending in absolute and % terms, possibly a lower FED effective balance sheet (but definitely a lower absolute balance sheet as they allow Treasury holdings to run off their balance sheet) which means higher interest rates, and much higher growth in the US public debt. I leave a question mark on the GDP forecast in the table because the jury is definitely out on how this new path will play out. But I do know the realization of how this plan will actually be implemented in the financial markets is hammering longer term bonds, stocks and the US Dollar as of the first week of February 2018. On a relative basis, the Trump plan might end up pushing the economy back toward an era similar from a mathematical perspective in relative terms to the 1970s. 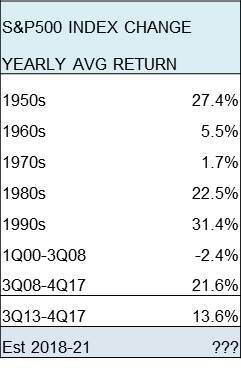 There is hope it will be the 1980s in the market, but I think the starting point for stock and bond valuations is too high. 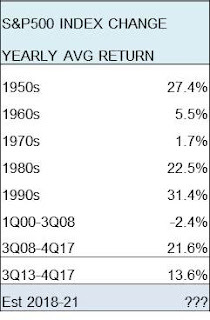 Here is a look at what has happened to the stock market over the same periods covered in the table above. 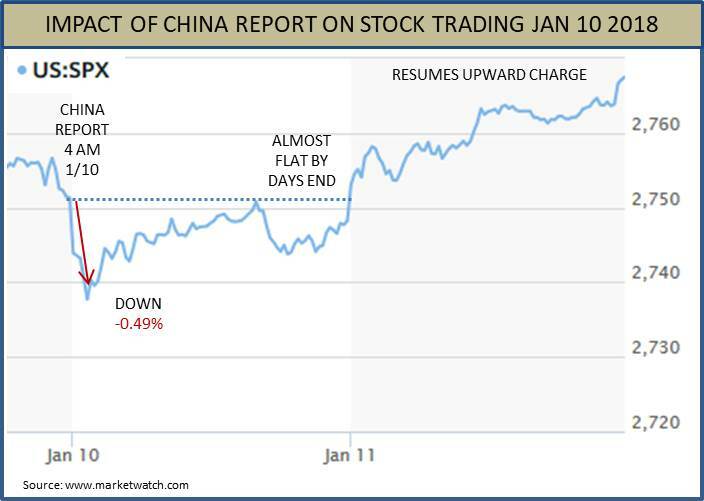 DJIA Drops 666 Points, Ominous Signal For The Stock Market? 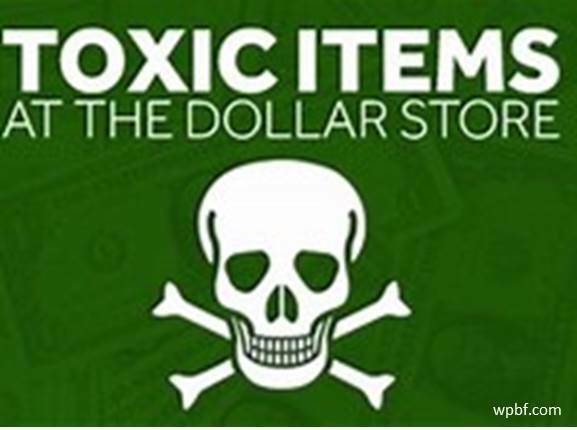 In January of 2017 as Trump was inaugurated as President, I published the following article - Will A Weaker Trump U.S. Dollar Be Toxic for Stocks? Through the first half of 2017, the U.S. dollar (DXY) continued to trade around 100, the level it was when Trump entered office. But beginning in mid-May 2017 the dollar started to trend progressively lower, and has broken down through a key historical average level of 90. 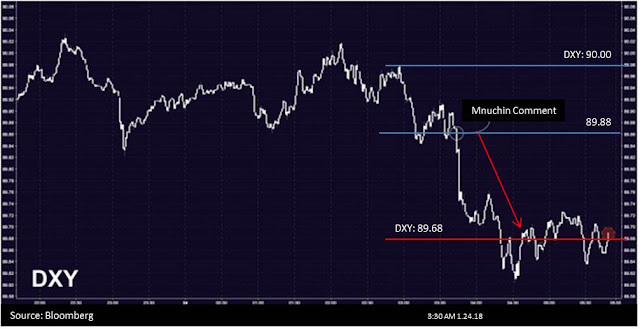 In an interview in Davos on January 24, 2018, Treasury Secretary Steve Mnuchin reiterated the Trump administration view that a “weaker dollar is good for trade.” As shown in the real-time capture of the dollar trade at the moment of the remarks, the US dollar dropped, continuing its trend lower. The relevant investment question is whether a weaker dollar is actually good for stocks (not trade!)? 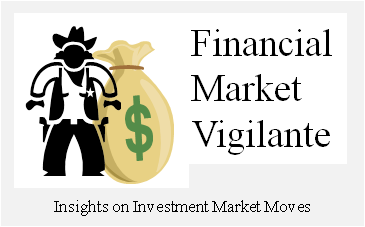 Against a backdrop of an inversely correlated move in U.S. interest rates, as historical data published in the article shows, chances are very high that the market will collapse as the trend progresses. 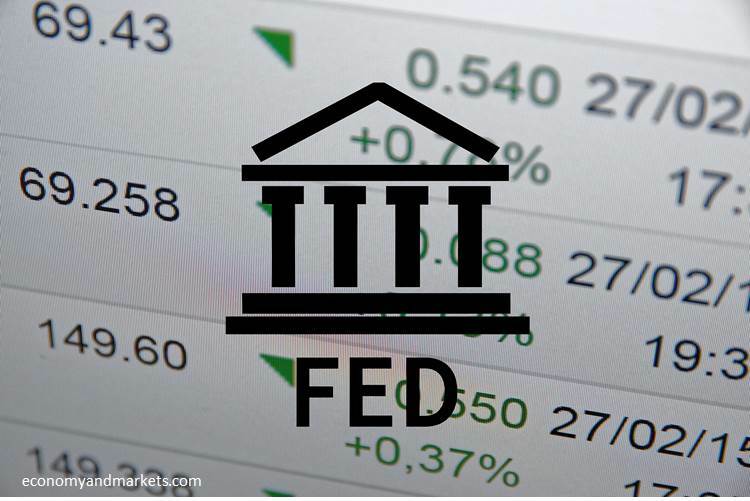 There are three points in market history that reviewed in the article – The Nixon Dollar Shock, The Reagan Plaza Accord and the Bush / Snowden Policy. 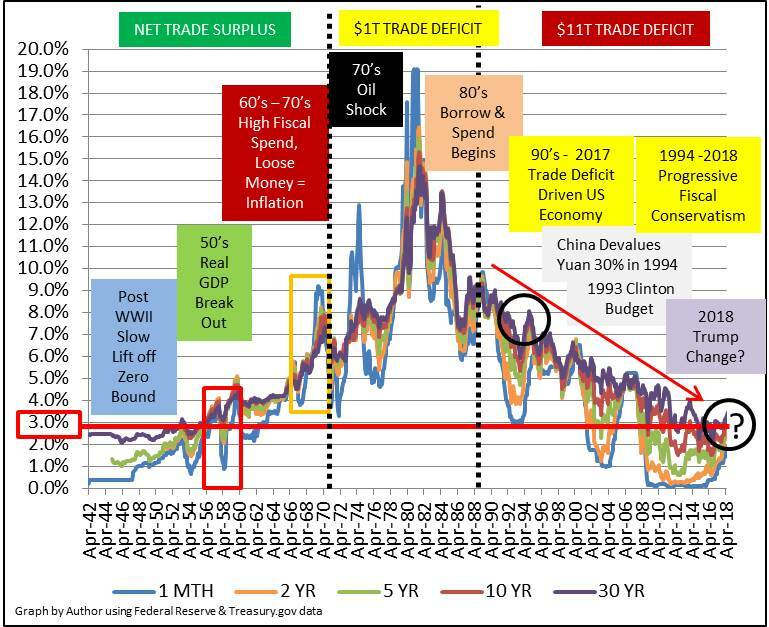 I strongly advise that you read the article if you are an investor interested understanding how market risk is fundamentally and rapidly escalating at the present time, and how long it took for the stock market to re-calibrate lower in response to very similar US President direct dollar moves lower in recent history. 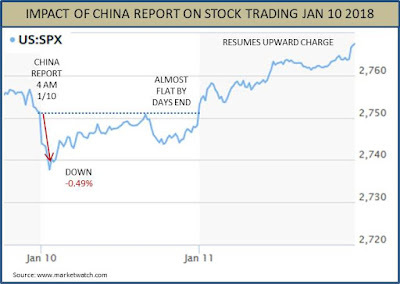 Nothing has changed from a market analytical standpoint since the time the article was published. What has changed is that the US Dollar is now weakening, stocks (SPY) (DIA) (QQQ) are substantially higher, and US interest rates (TLT) (SHY) (TBT) (IEI) are poised to move much higher as the Treasury has to enter the market to finance the Tax Reform Bill not just short-term, but for many years to come. 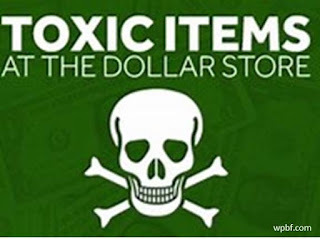 Is this a toxic market scenario in the making? In my opinion, very likely; it is just a question of when for stocks. And, given that the stock market is starting from an inflated position relative to many market measures, the stock collapses after the post 1971 and 1985 dollar declines are the relative points in history most applicable to the current stock market set-up. The business media was frenetic on Wednesday (1/10) about a story launched by Bloomberg in the early morning hours that China may slow or even cut-off its purchases of U.S. Treasuries. (Reuters, Bloomberg, CNBC). The stock market had a knee jerk reaction downward, as the pre-market futures were down and the morning broader market stock trade was off up to -0.49% on the S&P500. But once the Treasury auction was completed, the broader US equity markets resumed the relentless charge higher, as if the Laws of Financial Physics need not apply to stock investors at the present time. 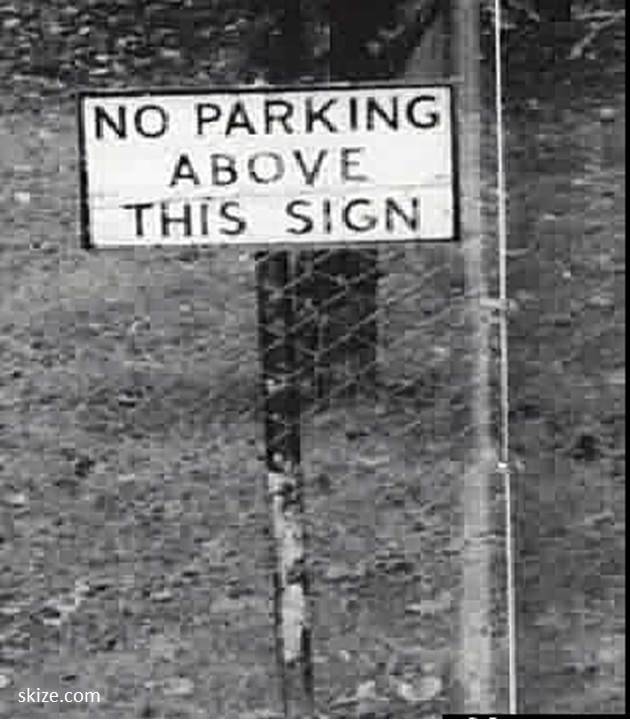 At some point in time, investors are going to figure out that they are parking money in a zone where the Law of Gravity will eventually apply again. 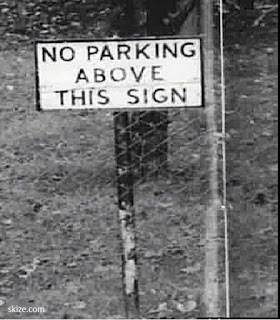 However, for investors who can’t or don’t read the signs, I suspect the day of reckoning will be a brutal one this time around. The following statement made by President Trump in mid-October of 2017 sent many economic professionals into a tizzy. This bizarre statement, not unusual for Trump, sent many economic professionals into a tizzy. It is preposterous, they contended, that movements higher in the stock market have anything to do with the ability of the U.S. government to amortize the National Debt, which has now surpassed $20T and climbing quickly since September 2017. From an economic perspective, it is GDP that drives a country’s ability to service its IOUs, not the stock market casino. But in the Trump world, fortified by a bevy of Wall Street advisors, the current view is that as long as stocks are strong, more debt is not bad for the USA. Why the sudden change of tune? The reason involves how the U.S. government, led by Trump and minions of structured finance geeks from Goldman Sachs and other investment banks are going to get the financial markets to free up enough capital to finance the Trump Tax Reform bill. I call it the Trump Put.